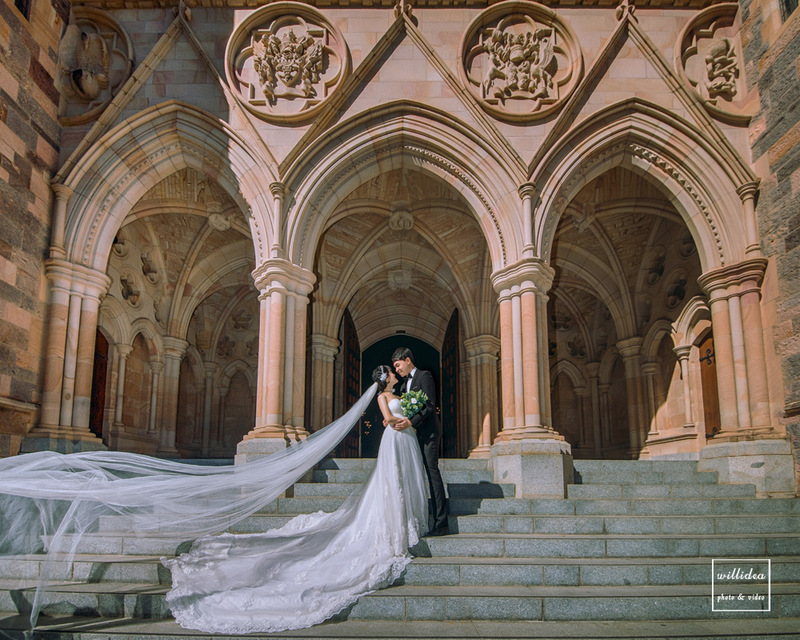 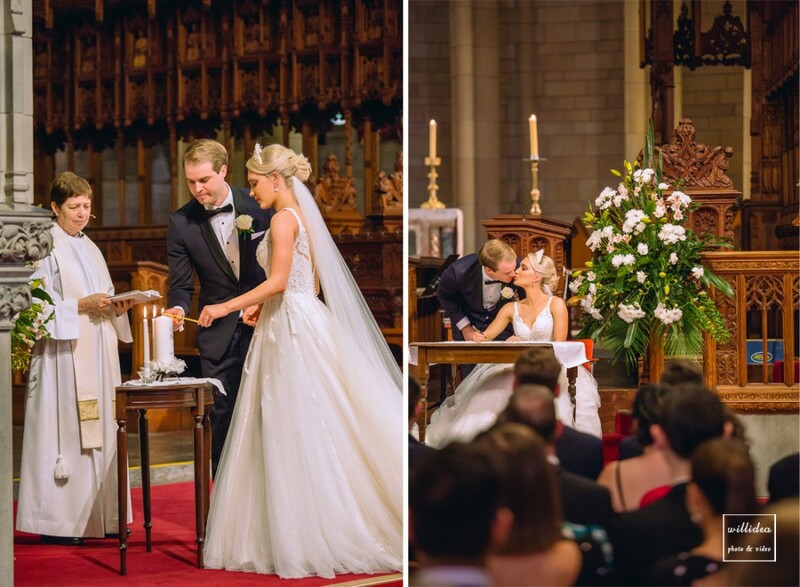 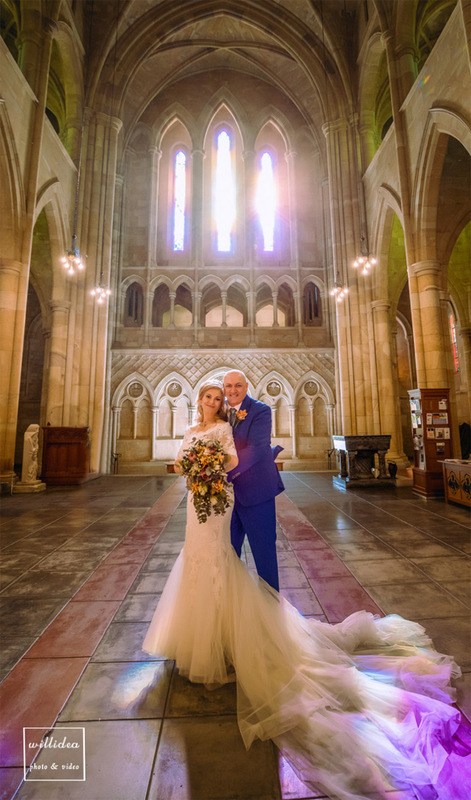 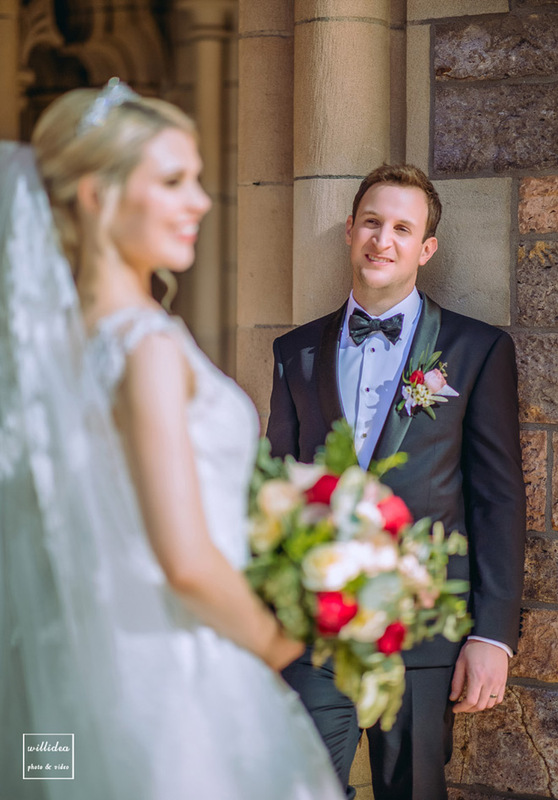 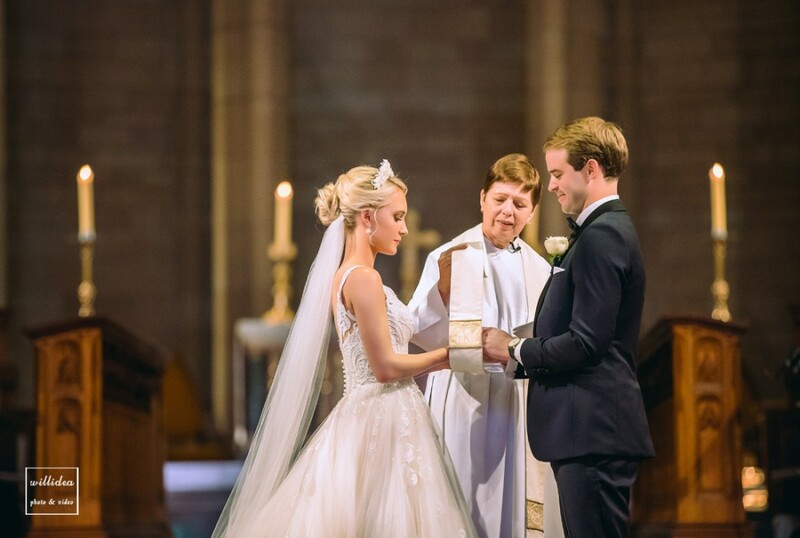 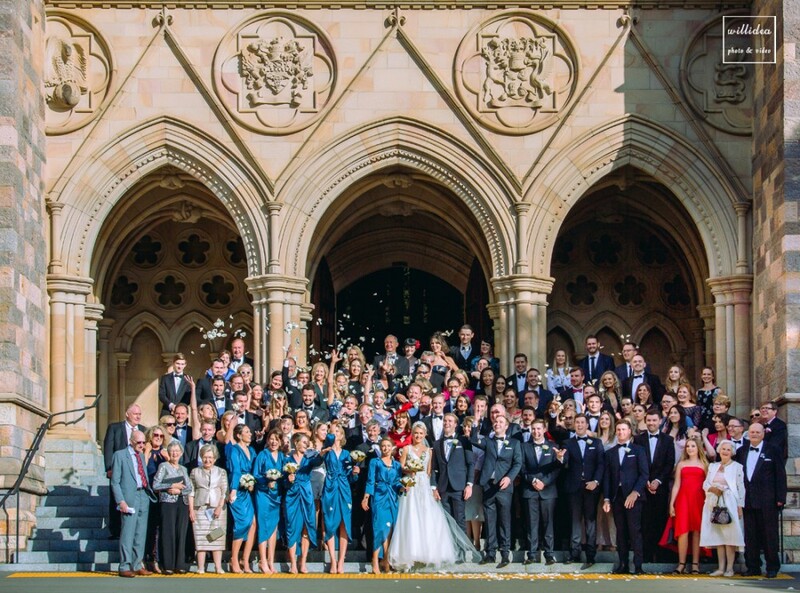 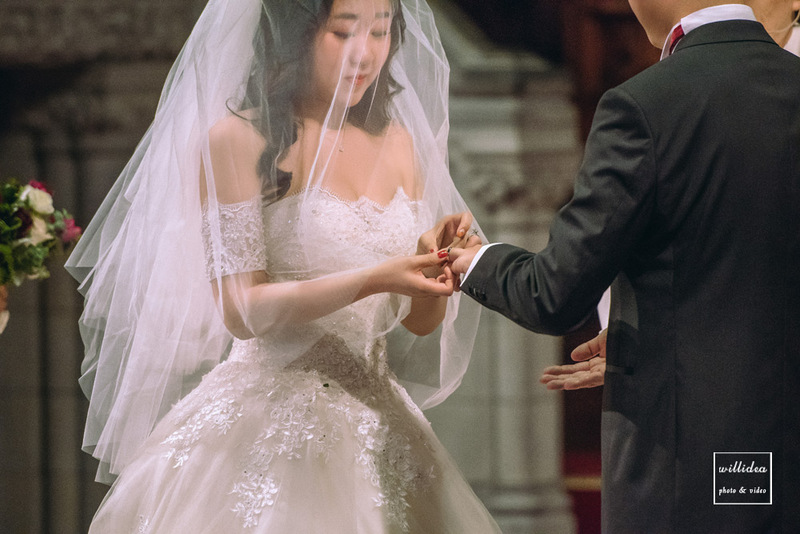 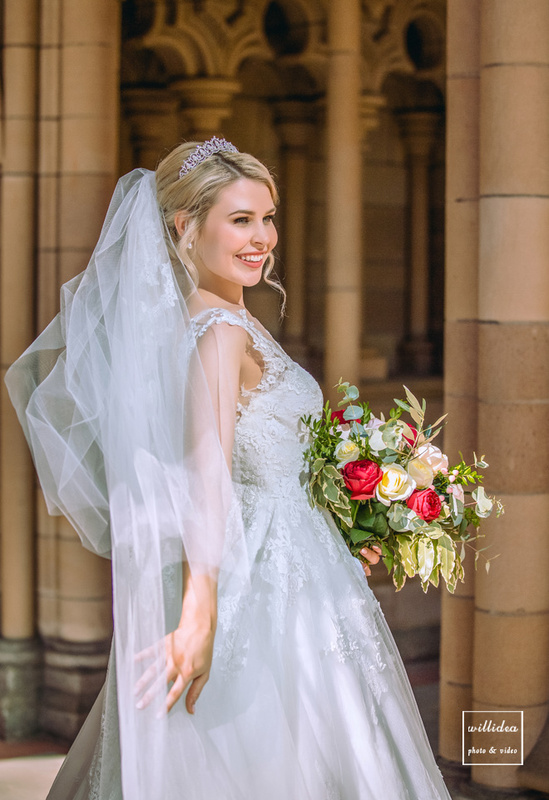 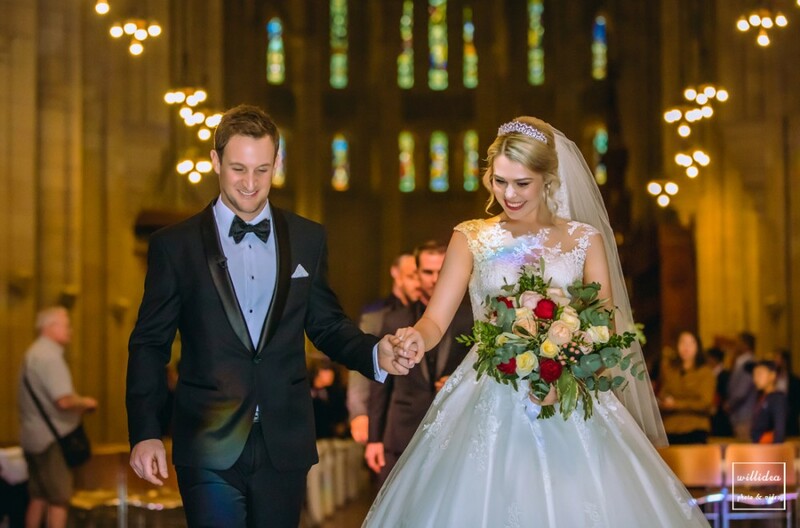 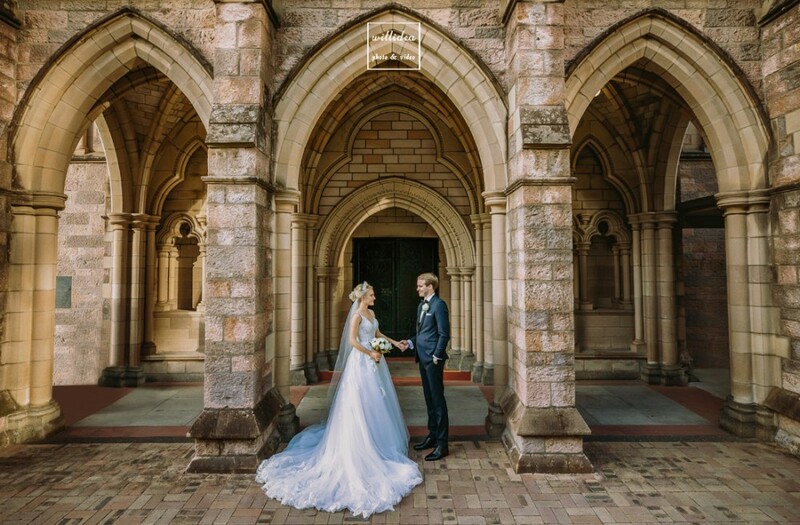 If you are looking for a traditional, elegant, and classic venue for your wedding, look no further than St. John’s Cathedral, a stunning Neo-Gothic cathedral located on the edge of Brisbane city. 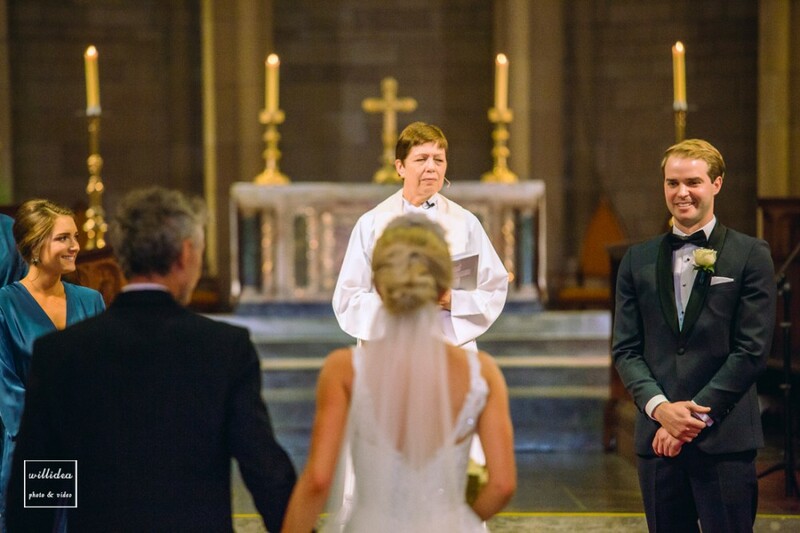 The cathedral provides tradition Anglican wedding ceremonies. 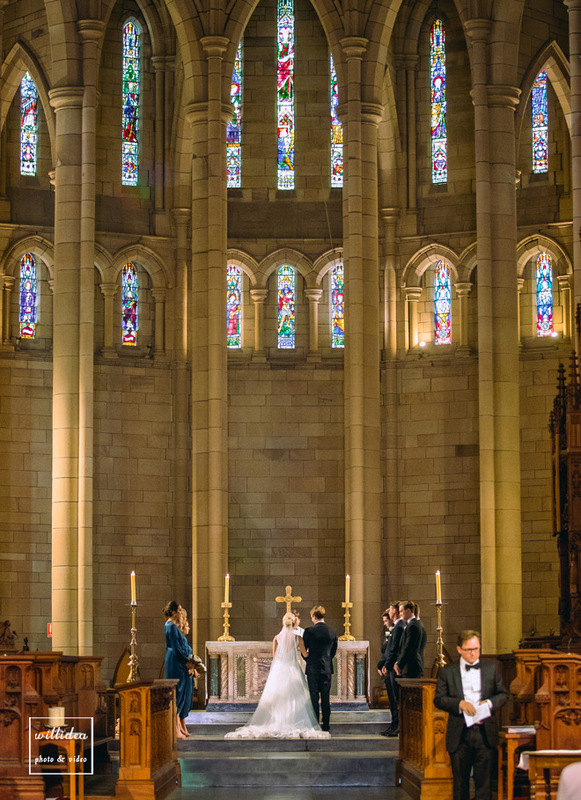 Its breathtaking interior is punctuated with grandiose pillars and a sandstone ceiling, while the stained glass windows project a unique light to the altar. 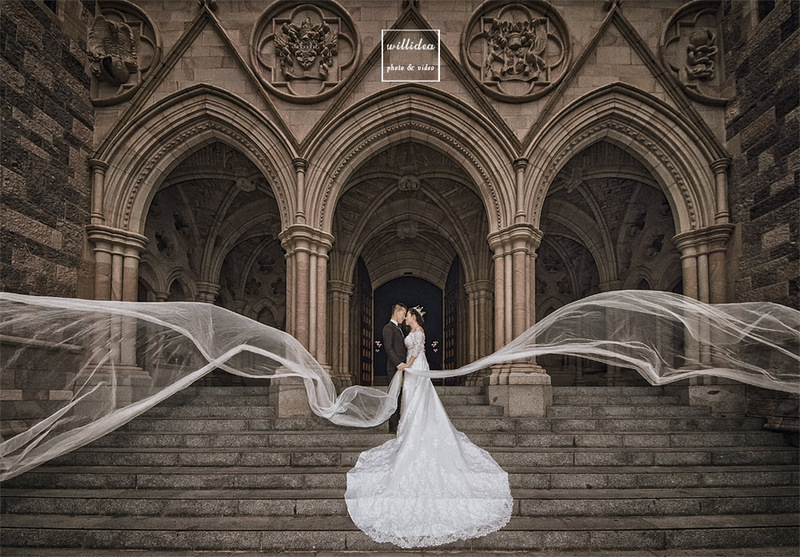 The French and English influences on the architecture are easy to spot, creating a unique and visually captivating setting. 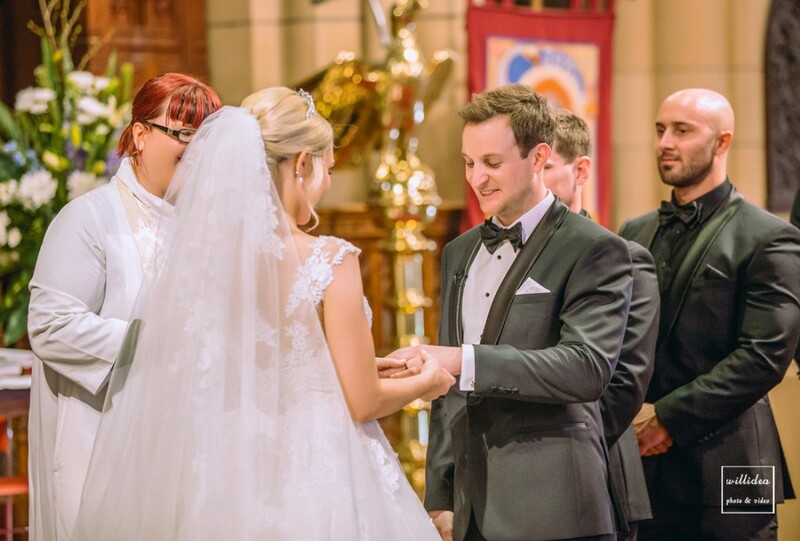 Wedding ceremonies in St. John’s Cathedral can’t help but have that European touch, and the history and sacredness can be felt within the walls. 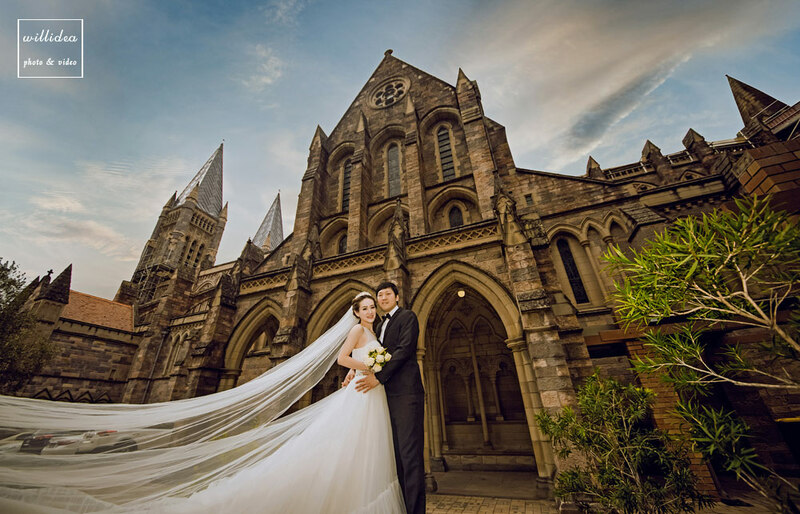 Allow yourself to be transported on your wedding day, as you step foot inside St. John’s cathedral. 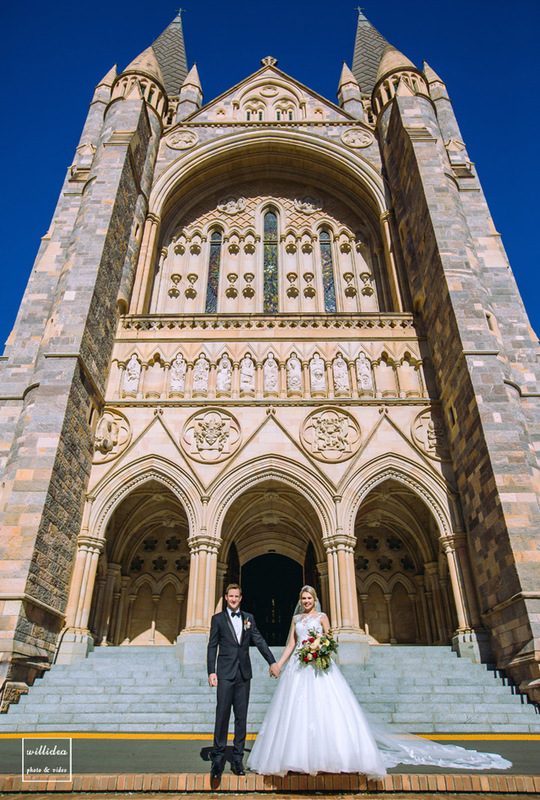 Not only is St. John’s Cathedral a beautiful wedding venue, but it is also well equipped with everything you need to make your special day run exactly as you want it to. 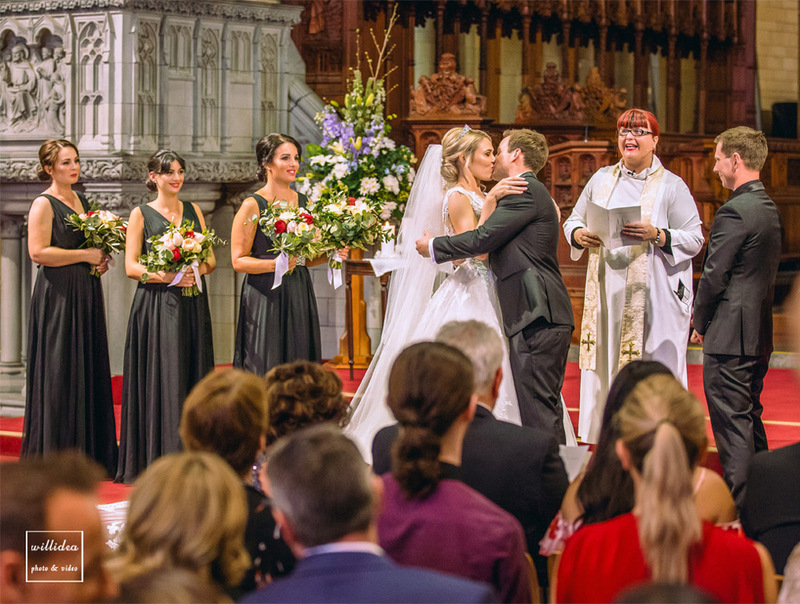 When booked for a wedding, the cathedral comes with an organist, a cathedral celebrant, and organist, a verger, and flowers. 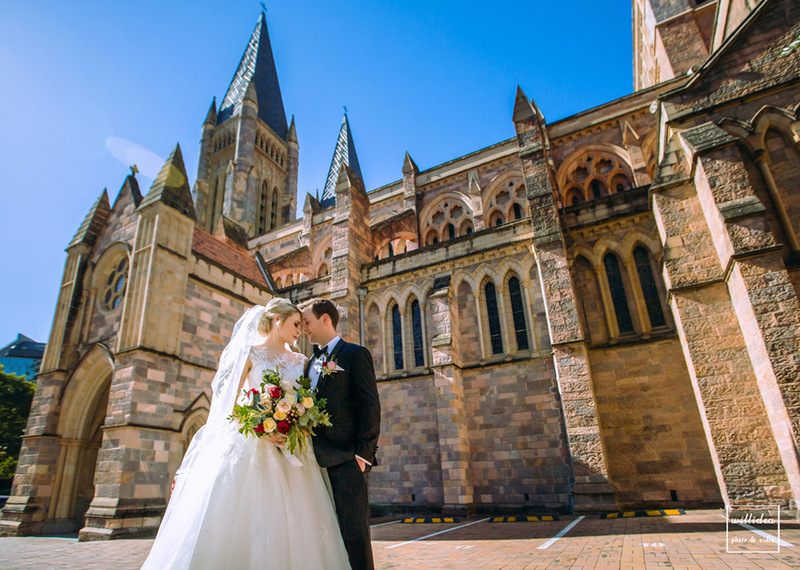 There are also many optional services available to customise your experience, such as the ringing of the cathedral bells, and choristers from the Cathedral Choir to add just the right ambience to the ceremony. 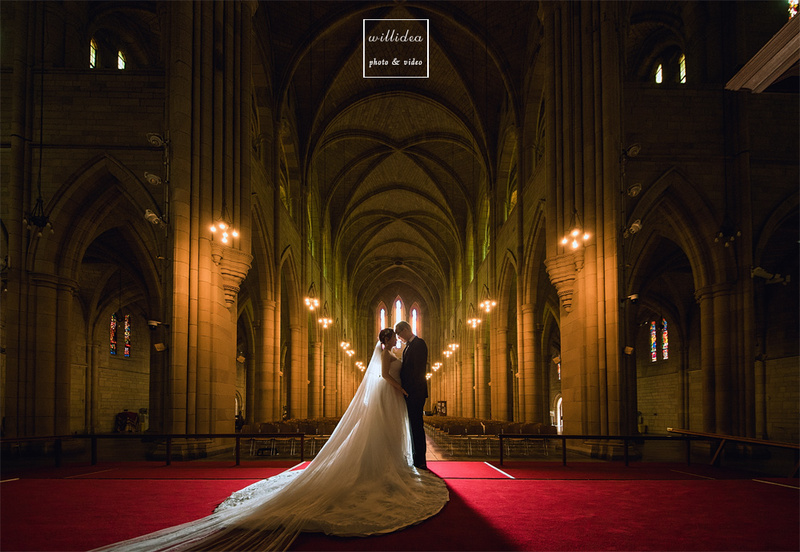 The cathedral also lends itself to countless unique photo opportunities, both indoors and outdoors, leaving you with the perfect visual memories of your wedding. 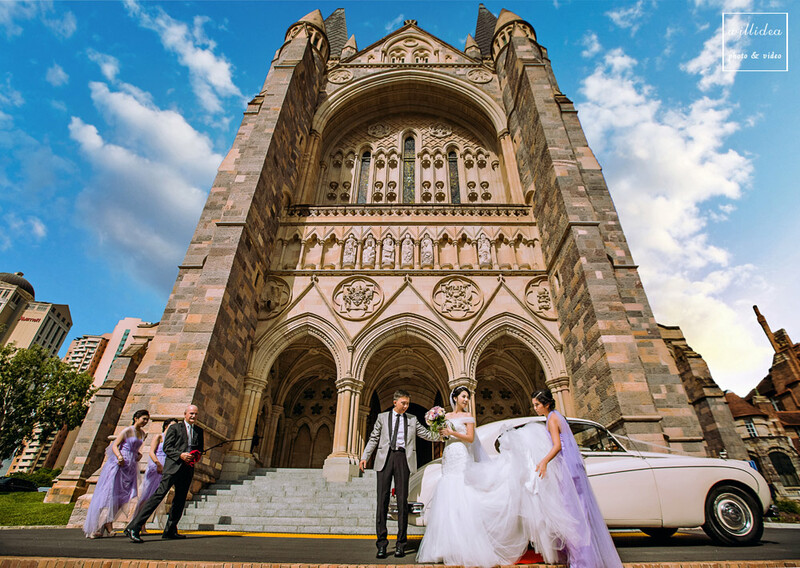 The foundation stone was laid in 1901, and building continued all throughout the 1900s, and up until 2009. 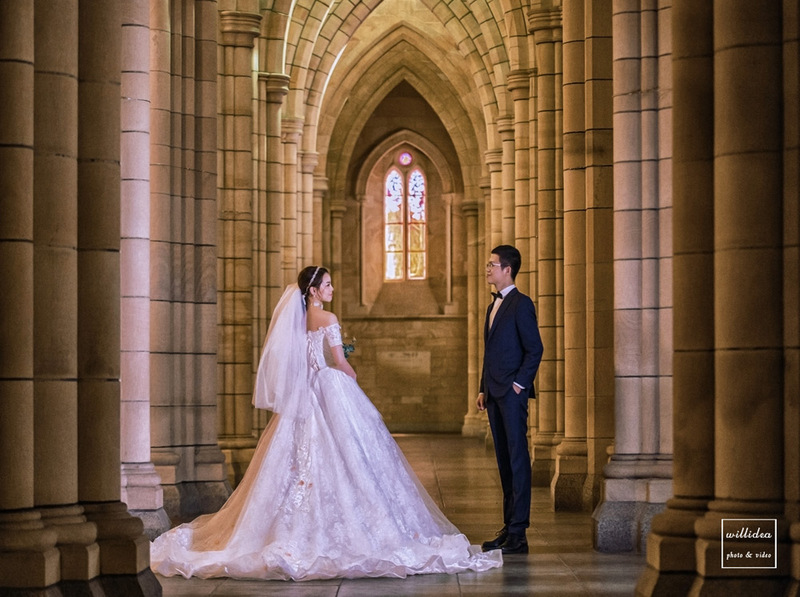 These days, St. John’s cathedral is a Parish Church for the local congregation, an art gallery, a musical performance venue, an historic building, and a peaceful getaway from the busy life of the Brisbane CBD. 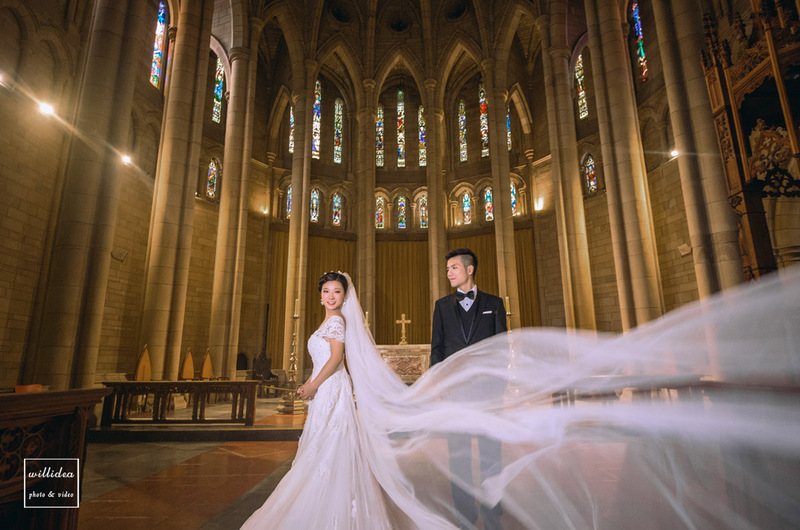 It is not only a place of faith, but also a place of art and rich cultural meaning. 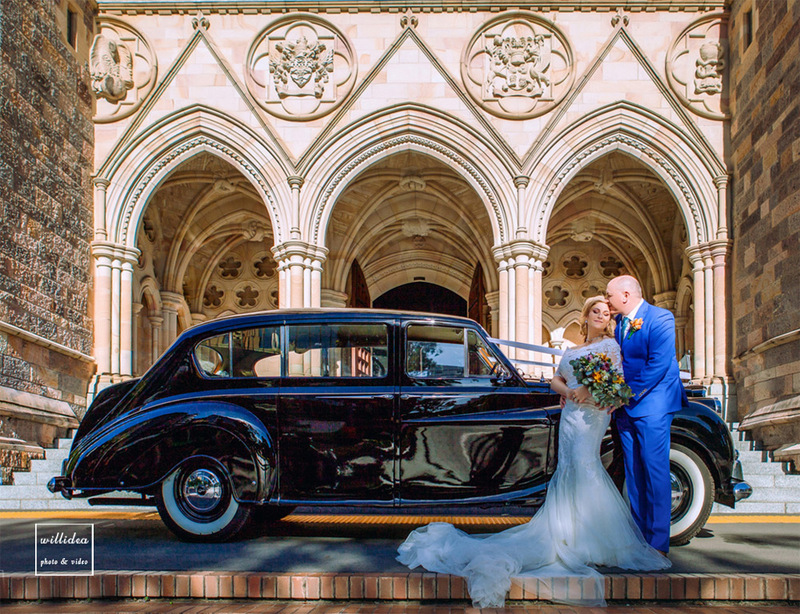 The incredible architecture and the historical importance of the building make it the ideal place for an unforgettable wedding ceremony. 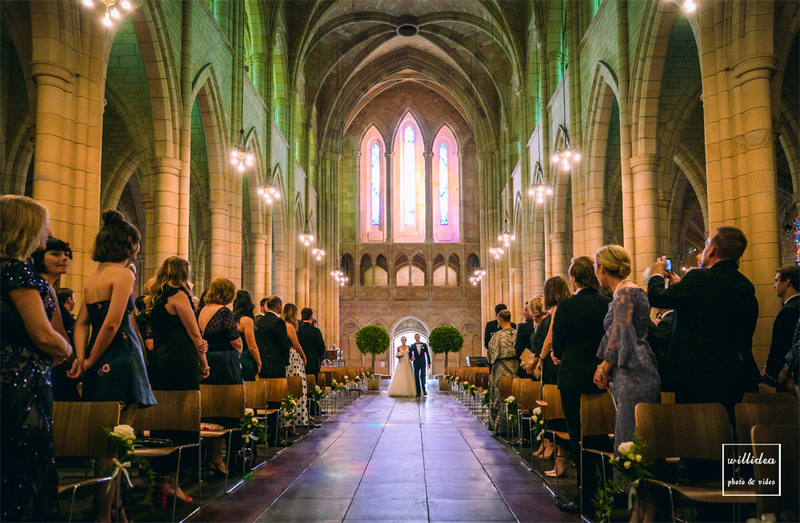 There is nowhere else in Brisbane quite like St. John’s cathedral.